Thrash and power metal unite like never before in a socio-political firestorm that tests the mind and bangs the head. 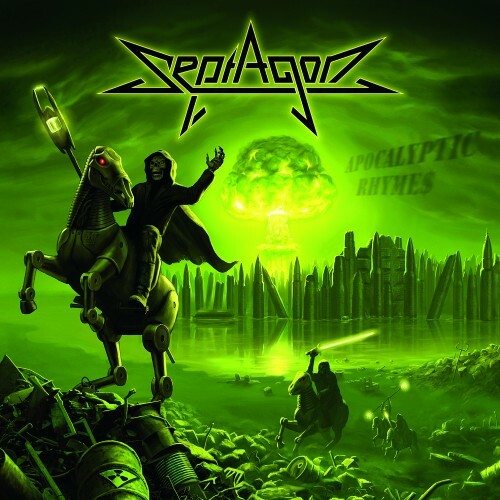 Featuring members of Atlantean Kodex, Lanfear and Them, Septagon pushes subgenre boundaries with technical, yet catchy songs on Apocalyptic Rhymes that are rife with dashing melodies and stellar vocal interplay. Old-school speed/thrash metal band with the aggression of Exodus, Slayer and Testament and&n.. Specifically mastered for vinyl, available in LMT PURPLE (150) and REGUL..